OSWEGO, NY – Following an exciting 2016 campaign at Oswego Speedway, several Speedway partners have already set their sights on 2017 as the first wave of partner renewals has made its way to the Speedway offices on Nolan Swift Memorial Drive. Several Oswego Speedway partners have already signed on and are eyeing the Speedway’s opening festivities in the month of May. 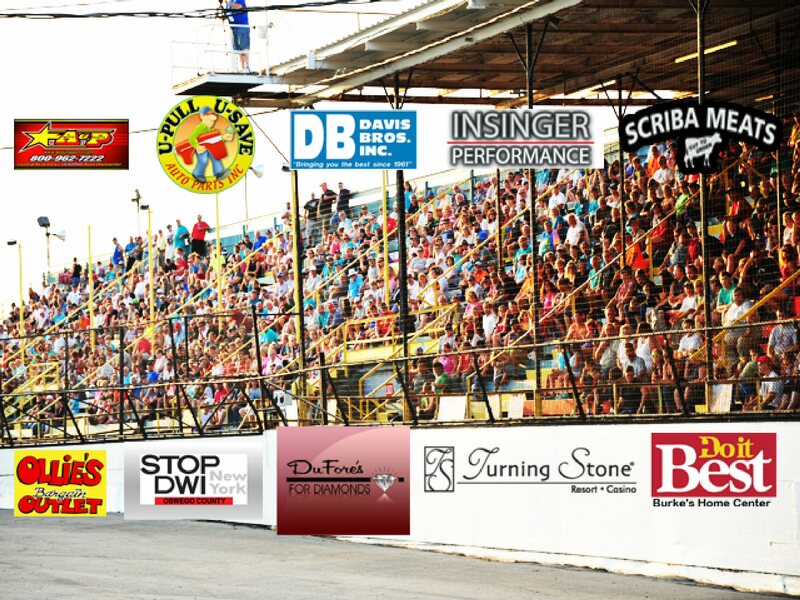 Longtime race night partners Burke’s Do-It-Best Home Centers, Davis Bros. Inc., A&P Auto Parts, and U-Pull U-Save Auto Parts have already declared their intentions to continue sponsorship of their big race nights in 2017. 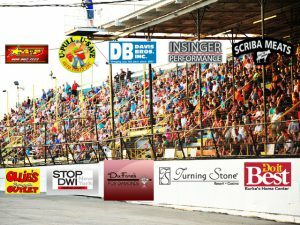 Oswego and Fulton’s Burke’s Do-It-Best- Home Centers, the official home center of Oswego Speedway, and A&P Auto Parts of Cicero will once again present the Speedway’s Novelis Supermodified Twin 35 main events which will again be contended during mid-June. Davis Bros. Inc, located in Oswego providing the best in local food distribution, is the presenting sponsor for 2017’s 31st annual $10,000 to win Mr. Novelis Supermodified championship in late July, while U-Pull U-Save Auto Parts in East Syracuse will again be a co-sponsor of the Speedway’s track championship night in late August. Two new partners in 2017 include Ollie’s Bargain Outlet, located on Route 104 directly across from the Speedway in Oswego as well as the Fair Haven Motel, located on Route 104A in Fair Haven. Ollie’s Bargain Outlet is one of America’s largest retailers of closeouts, excess inventory, and salvage merchandise. Their 234 “semi-lovely” stores sell merchandise of all descriptions and some beyond description. Ollie’s buyers will find real brands at real bargain prices in every department, from housewares to sporting goods to flooring and to food, and everything you buy at Ollie’s is covered by their 30-day “No Hard Time” guarantee. If for any reason you are not completely satisfied with your purchase, return it within 30 days of purchase for a full refund (with sales receipt). The Fair Haven Motel features large spacious rooms, with air conditioning, a small microwave, refrigerator, and coffee maker. The rooms also feature two Queen size beds, color TVs, and a great deck to relax on. The Fair Haven Motel is handicap accessible. Scriba Meats, DuFore’s for Diamonds, and Oswego County Stop DWI have also signed back on for the upcoming 2017 season, while Turning Stone Resort Casino and SUNOCO’s Insinger Performance Fuels will continue their multi-year partnerships as well.